Information taken from letter written by Blanche Miller Evans to her cousin Frank W. Newham in Tacoma Washington. The letter was mailed from Greenville on March 31, 1942. The letter details the MILLER,FISHER, EVANS, BUCKLEY family history from 1810 to 1942, especially in regard to the wars that family members fought in. Frank Newham was my maternal grandfather. His grandmother, Sarah Miller Buckley and Blanches father Charles were siblings. 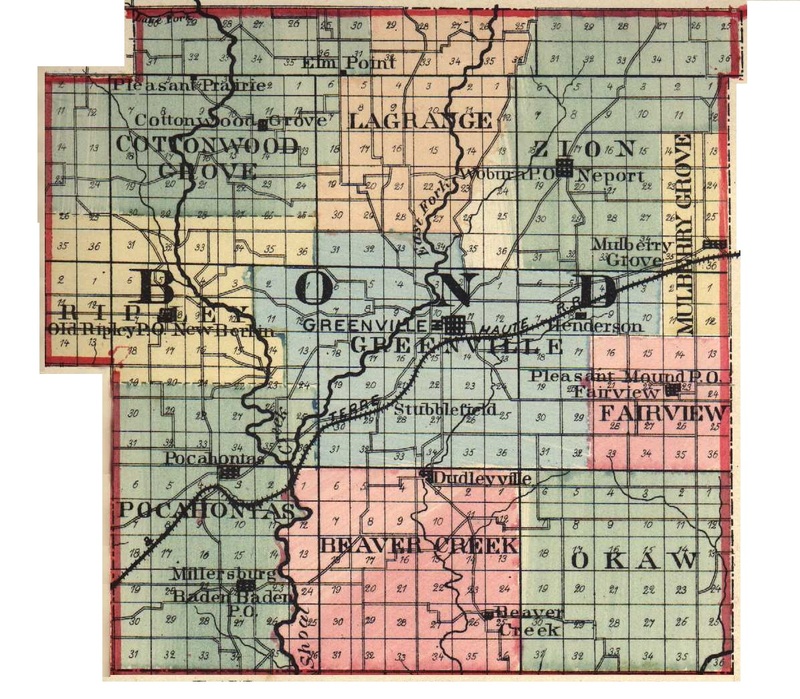 Birthdates were estimated from 1860 Bond County census.